Ed and Jo Beth Wisner visit with Sonia Hidalgo. 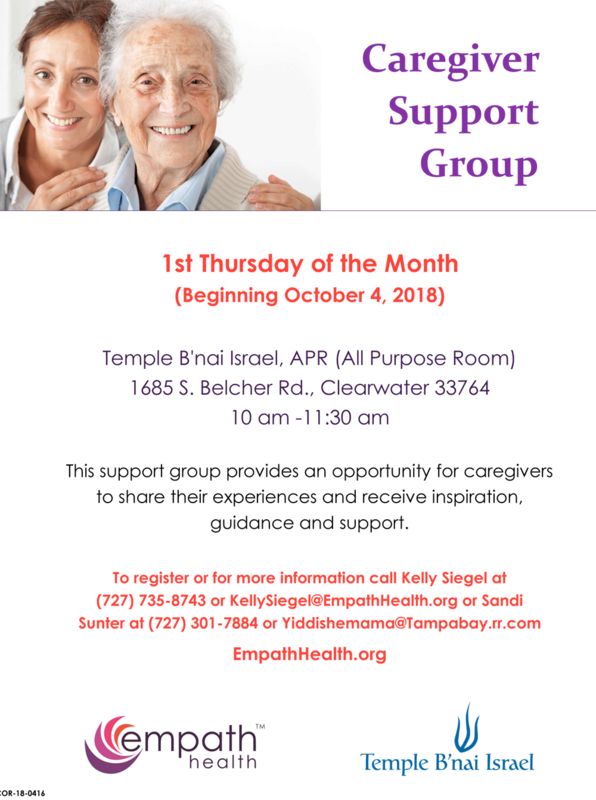 Empath Health joins in celebrating National Patient Recognition Week February 1 to 7. We remain committed to providing the highest quality care and support for our patients and families. Our mission is supported by 1,100 employees, nearly 2,000 volunteers and countless community donors and partnerships. Suncoast Hospice, our cornerstone organization since 1977, served nearly 8,200 hospice patients in 2017. Our hospice care teams focus on helping patients find comfort and meaning in their days, along with supporting the needs of families. 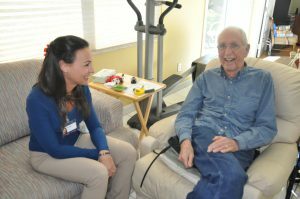 One new and dedicated Suncoast Hospice volunteer is Sonia Hidalgo. She is a 35-year-old mother of two young boys and a wife who works in human resources and payroll for her husband’s pool company. When not working or caring for her family, she makes time to visit with our hospice patients and families as a way of giving back. “After my dad died, I did a bereavement group for six months with Suncoast Hospice and then I decided to volunteer. Suncoast is awesome. It’s a great organization. My volunteer training was great. I love it,” Hidalgo shared. 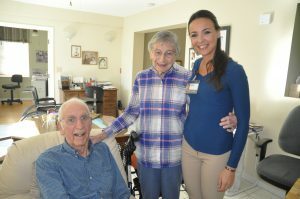 For the last three months, Hidalgo has visited on Tuesdays with her first patient and his wife, Robert “Ed” and Jo Beth Wisner, a loving elderly couple from Arkansas with four children and married for 62 years. Hidalgo has warmed their hearts with her kindness, company and specially-prepared, home-cooked meals in their kitchen. Jo Beth works on her puzzle. “Jo Beth likes me to do two dishes now. Sometimes, I’ll go shopping or I’ll use whatever’s in the pantry. I’m Italian. I’ve cooked chicken cutlets, chili, spaghetti and sides,” she said. The three have bonded over food and stories of their families and lives. At Thanksgiving time, Jo Beth passed on her sweet potato casserole recipe to Hidalgo, who went on to make it for her family. Life for the Wisners is quiet and comfortable at home and in their community. Ed retired from a long career at Florida Power Company and Jo Beth previously taught kindergarten and did longtime singing and cross-stitching. Now she is self-proclaimed obsessed with puzzles and also loves to read. 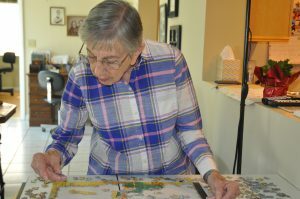 Her latest projects are a New Yorker puzzle sent by her daughter and a book about Harper Lee, author of To Kill a Mockingbird. The couple appreciates all the help and care of Suncoast Hospice. Sonia and Ed share a laugh. “Hospice has just been wonderful. We have been so impressed,” Jo Beth shared. Change a Life – Volunteer! Join our mission of care this year. 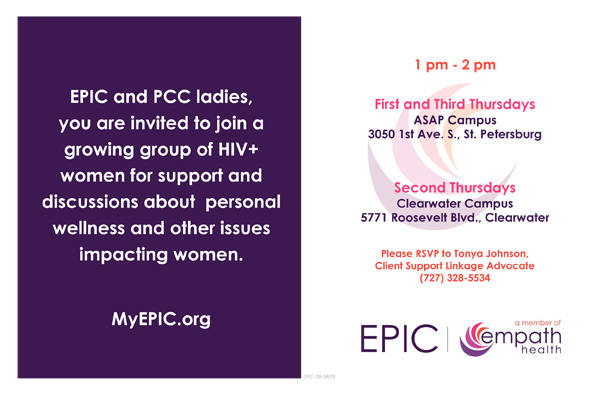 Click here to learn more about our volunteer opportunities or contact volunteer services about volunteering.